The Lithuanian Scouting Organisation website, which includes information about Lithuanian scouts and guides in the USA and Canada. This website is in Lithuanian. This website is the main internet porthole for all scouting troops in Lithuania. Here you can find words to scout songs, ideas for games and activities, the history of Lithuanian scouting, guides to orienteering and knot tying. There are many scouting resources on this website. The official Lithuanian Scouting website which explains what scouting is and how kids and adults can get involved. Here you can find information about scouting in Lithuania and see what “Vilniaus Pilies Tuntas” has been up to. 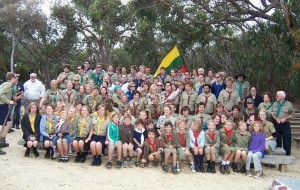 Scouts Australia – Victorian Branch website. Australian Lithuanian Youth Organisation website. Lithuanian Scouts All rights reserved.